Fall TV Season – Any TV Series Worth Checking Out? So now that the Fall TV Season is well underway I thought I’d check in with the real experts of TV – the readers of GeekTonic. What new & returning shows are you watching? Are there any gems among the new shows this season? Lone Star – I really liked the clips I saw of this one, but the rumblings I’m hearing from people who watched the entire first episode were very mixed. Hawaii Five-0 – I chose to not record this one but everyone who watched the premiere loved it. Detroit 1-8-8 – Another one I chose not to record. It sounds like those that watched it like it. A grittier Law & Order type of show I think. 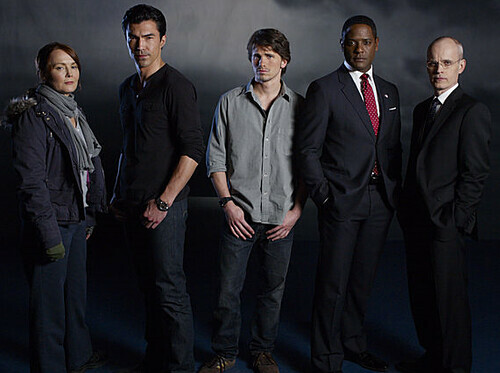 I did watch the Chuck premiere and loved it. A great start to the new season – unfortunately it lost audience while Dancing with the Stars picked up audience. There’s more new shows to come and I’ll run through all of them Sunday morning here on GeekTonic. Let us know what you watched and your opinions of shows to check out or throw out. Sonos announced a new addition to their hardware lineup today – this time a new wireless dock. If you have a Sonos system you probably already know that your iPhone and iPod touch can be used as a free remote control on your Sonos. And you’ve been able to plug your iPod into a Sonos S5 via the audio input to play back music on your Sonos speakers. Now with the Sonos Wireless Dock (WD100) you can dock your iDevice (iPod touch [1st, 2nd and 3rd generation], iPod classic, iPod nano [3rd, 4th and 5th generation], iPhone 4, iPhone 3GS, iPhone 3G and iPhone) to control and stream the music from that device over your wireless Sonos system. 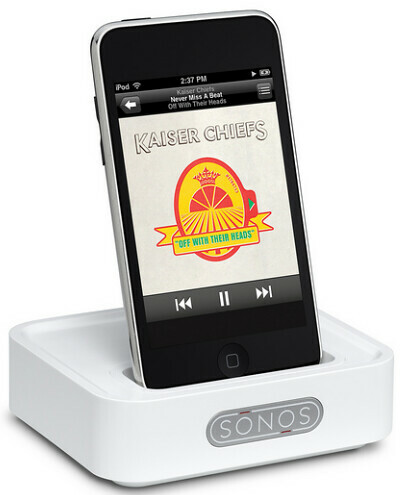 The Sonos Wireless Dock (WD100) looks very much like a basic iPhone/iPod dock with the Sonos logo on the front. 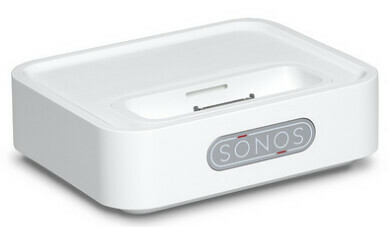 But inside is an extension of the Sonos wireless mesh system that links your iPhone or iPod to the setup wirelessly. It takes the audio from your iDevice, converts it to analog and streams it across your house via the Sonos ZonePlayers. The Sonos wireless dock is expected by the end of October and will retail at $119. To learn more about Sonos check out the GeekTonic review and head to the Sonos website. A nice hard drive deal showed up at Newegg today. It’s a SAMSUNG Spinpoint F4 2TB Internal Hard Drive for $95 with free shipping! Deals like this make justifying that SSD I’ve been eyeing even more difficult. Netflix finally launched their streaming service in Canada Wednesday. They have it priced at CDN$7.99/month. From the first reports the selection is even less than it is in the U.S.
For the best look at the Canada Netflix Streaming Service from a Canadian’s perspective, check out Dale Dietrich’s review via ZatzNotFunny. I put this question up on Twitter today and thought I’d expand on it. Mikinho from MissingRemote said: Same here. Low noise, heat and power usage. Faster UI, cache retrievable damn near instant and very fast resume from sleep. There were several other positive responses as I expected. My guess is that most if not all of these HTPC enthusiasts have a SSD drive on their HTPC – used for playback. My HTPC that I would put the SSD in is a powerhouse HTPC server. In other words it does ALL of the recording, commercial detecting, transcoding, Blu-ray ripping etc. But not a lot of media playback since my nice, new SageTV HD300 extenders handle that so well. So is it still worth it to put an expensive SSD drive as the operating system drive of the HTPC server that doesn’t get used a lot for playback? That is the question. Thanks for your input! Roku tipped their hand that a new media streamer hardware lineup was on the way with their price drops and a choice FCC leak recently. 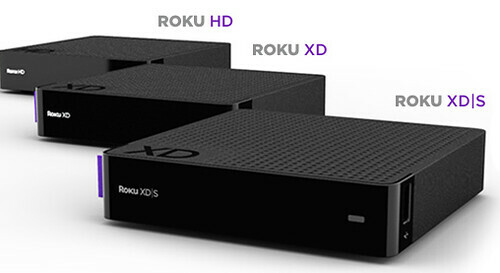 Today Roku officially announced the new, slightly updated lineup for all to see. Roku XD/S for $100 that adds dual-band wireless, component video & optical outputs and a USB port. What do you think? Is the Roku for you? Or are you looking for something with more of a multiple personality like a Blu-ray Player, TV or more powerful media player/extender to handle your online media content streaming?